The PGA tour is back in San Diego with the Farmers Insurance Open. The tournament begins tomorrow at Torrey Pines golf course in La Jolla. Our very own Head Golf Professional Michael Block is among the competitors. Corey Ross caught up with Michael to get some insight into his strategy and to see how he’s feeling ahead of the tournament. Michael will tee off at 10:00am with Beau Hossler, also from Mission Viejo, and Andrew Yun. You can keep an eye on Michael and the tournament on the golf channel, coverage starts at Noon tomorrow. 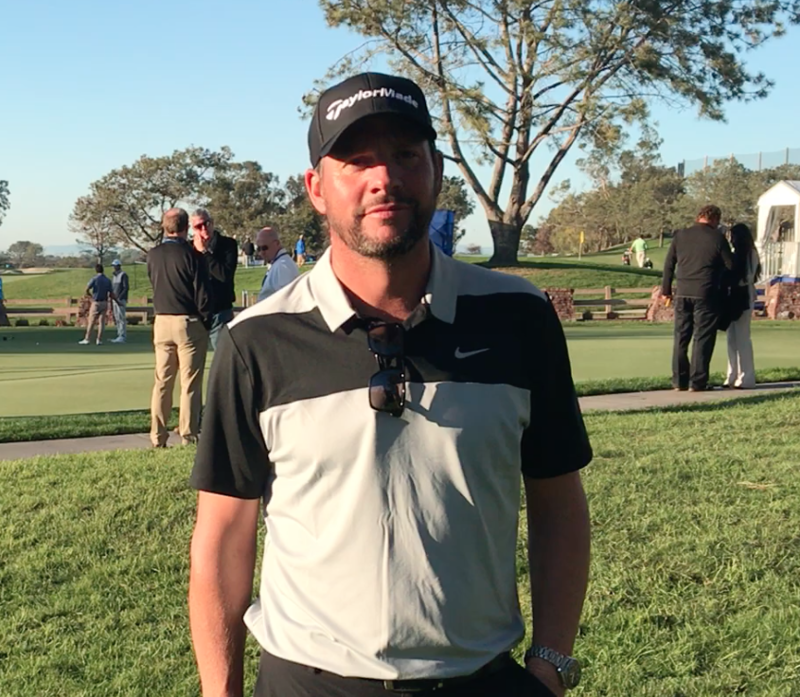 Watch More: Michael has added a new club to his bag ahead of the tournament, find out all about it on our Facebook Page, Arroyo Trabuco Golf Club on Facebook. While you’re there, join us in wishing good luck to Michael and leave a comment. There’s nothing like watching some golf to get you in the mood for hitting the course. Book a round at Arroyo Trabuco and stick around to watch the tournament action in O’Neill’s Bar & Grill. Posted in Golf, Michael Block, The Pros.